Ottawa – September 7, 2018 – Canada’s food workers are glad to see that many of our hopes for the National Food Policy are shared by the Canadian public, including some of our fellow key stakeholders, who, with us, combine their efforts and resources to feed Canada and many other countries around the globe. “What We Heard”, the federal government’s report on findings from the public consultation process on food policy, clearly shows that environmental conservation and economic growth are important to Canadians when it comes to this important issue. But they also prioritize the need to reduce food insecurity, to advance food safety, and to ensure the welfare and labour rights of food workers. 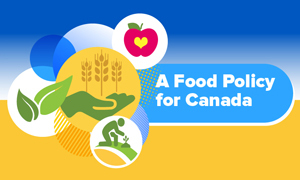 Canadians have been heard, and it’s now the responsibility of the federal government to make sure that Canada’s first-ever National Food Policy reflects the priorities listed above. Canada’s food workers are certainly ready and willing to assist the government in developing that policy, and to create something that will not only result in a stronger, more just food system, but also serve as a model for other countries to follow. Food workers must serve a central role in the development and governance process if the National Food Policy is to be built on the feedback of Canadians. Actions on important issues like food safety will be less effective if the people who make and handle our food are excluded. They are the front lines and, if need be, the whistle-blowers in the food growing, harvesting, and manufacturing processes. Furthermore, any conversation about identified priorities such as “worker welfare”, “labour rights”, “social justice” (or food justice), “addressing labour shortages”, “technological innovation” and its impacts, or “sustainability” will be incomplete without the direct input of food workers. To that end, the federal government must act on the public recommendation for an “external advisory body.” More specifically, the United Food and Commercial Workers (UFCW Canada) union has proudly joined other key stakeholders in calling for the establishment of a National Food Policy Council that must include representatives from labour, industry and civil society. Workers and their organizations bring a unique and essential perspective to this discussion and others that must be central to all public policy decisions and documents. When they’re not, important points, approaches and potential solutions can be overlooked, and the public is left with an incomplete strategy for making positive change. This appears to have been the case with the recently released Poverty Reduction Strategy, which lacks substance when looking at root causes and proven remedies. For the sake of Canadians and their food system, federal ministers and policy makers cannot make the same mistake with the National Food Policy. Public consultation is essential, but the process of applying that feedback to the creation of effective policy is just as crucial. And to have lasting success the National Food Policy must include a mechanism for food consumers, employers, civil society actors and workers to feed and lead this initiative equally. Paul Meinema is the national president of the United Food and Commercial Workers Union (UFCW Canada), representing more than a quarter-of-a-million workers in every aspect of the food chain, as well as healthcare, security, and other key economic sectors across Canada.